Other than being a major importer, Hong Kong is also the largest exporter of raw and refined opium to North America. A significant portion of raw opium was imported into cities on the west coast : Victoria, Vancouver, San Francisco, Tacoma, etc. The refined opium was sold as is; raw opium were processed at the factories in either Canada or United States. Opium was a common, and legal import from China. Up until 1865, Opium was largely unregulated on Vancouver Island. Why was Victoria a center for opium trading? Victoria was a major port city from the 1860-1910s, it was a lively town with visitors from all over the world. Therefore, it had the socio-economic basis for a successful economy. Morever, Victoria being a British Confederate and Hong Kong a British Colony, the trade dynamic between the two ports were thus practicable. Duty on Opium Imported Into British Columbia, 1872 - 1899. Source: Canada. Tables of the Trade and Navigation, Dominion of Canada, Ottawa. 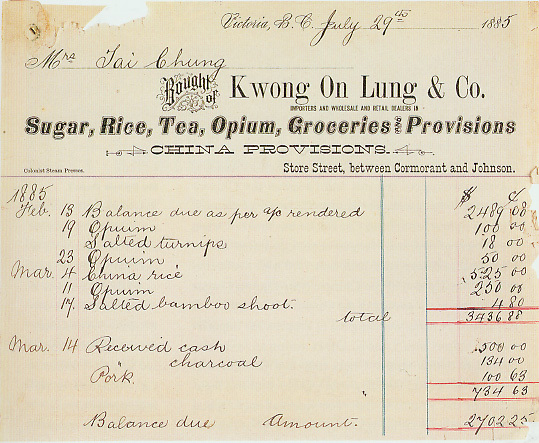 A running bill from Kwong On Lung & Co. in Victoria, one of the opium factories. 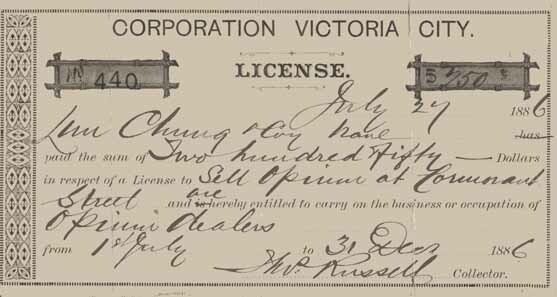 The invoice - dated July 29, 1885 - is made out to Mrs. Tai Chung who ran a tab of $3436.88 for a variety of items including several purchases of opium. Source: Barbara Hodgson, Opium: A Portrait of the Heavenly Demon, 1999, p. 114. 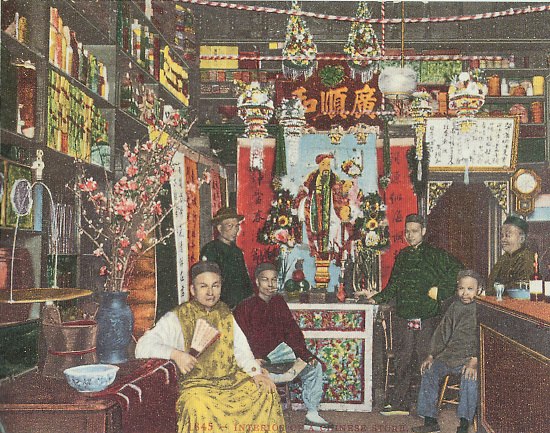 Interior of a San Francisco Chinese Grocery Store, undated. This store would have probably sold opium, along with other medicine, herbs, and general goods. Source: Barbara Hodgson, Opium: A Portrait of the Heavenly Demon, 1999, p. 115. The growing Chinese population was only one of the reasons why opium manufacturing succeeded in Victoria; it was also the center for opium smuggling on the west coast of Canada. In 1880, the United States and China came to an agreement that prohibited opium import into the other country. 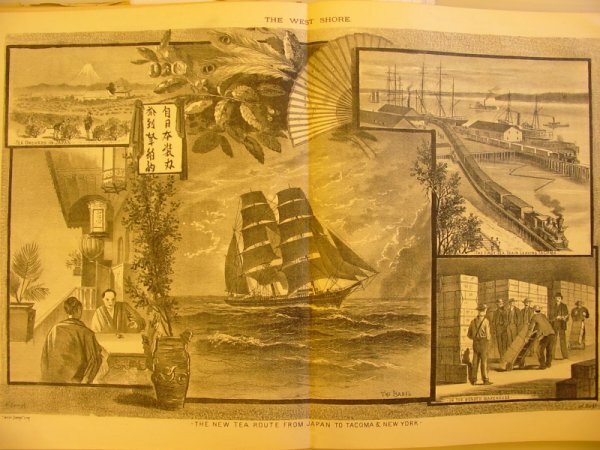 Therefore, Chinese opium merchants in the US could no longer import opium directly from China, but rather, having to rely on opium supplies coming from Victoria. Smuggling of opium was common because the duty on opium was $5 a pound in Canada but $10 a pound in the US.8 The Canadian government were aware of the smuggling problem but did little to surppress it simply because the trade helped to promote opium manufacturing and thus generating revenue for the government. Source: Un Vice Nouveau (A New Vice). Le Petit Journal, July 5 1903. 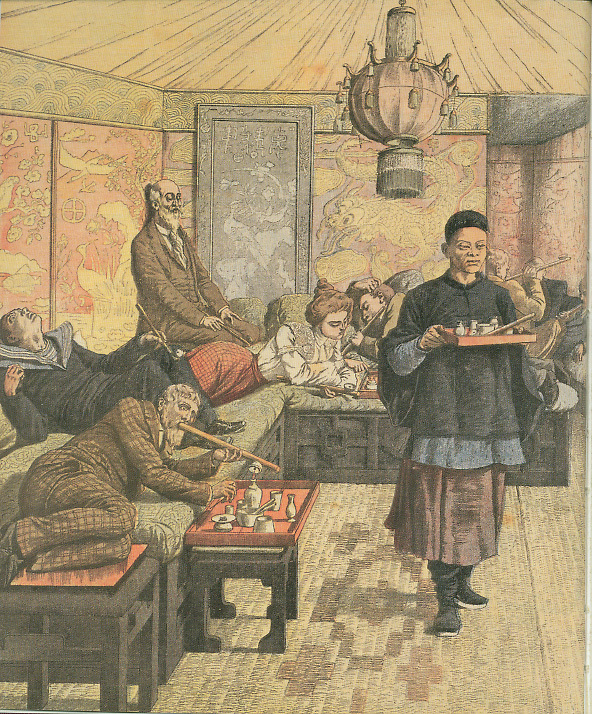 Since its introduction to China in the 1790s, opium had destroyed not only lives of Chinese but of the Whites as well. In a report compiled by W. L. Mackenzie King, Deputy Minister of Labor at Vancouver, he witnessed a Caucasion woman sedated by this deadly venom. This woman dressed in middle-class attire was walking on the street apparently dazed. To his surprise, he discovered that opium was legal on this end of the nation. 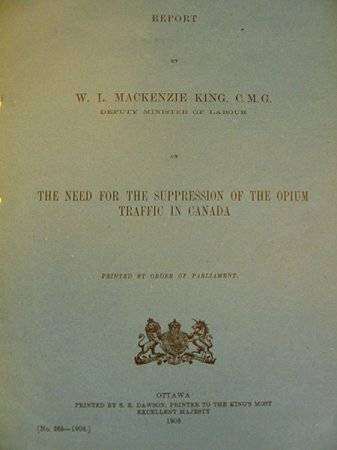 It was this report "The Need for the Surppression of the Opium traffic in Canada" that eventually led to the ban on opium on July 20, 1908. Thus, we can see how a small city of Victoria - and more notably, Vancouver - were able to influnce a nation-wide legislation. Using a microhistorical perspective, even though the opium trade is largely confined to the west coast of Canada, it had a profound affect upon policy at large.